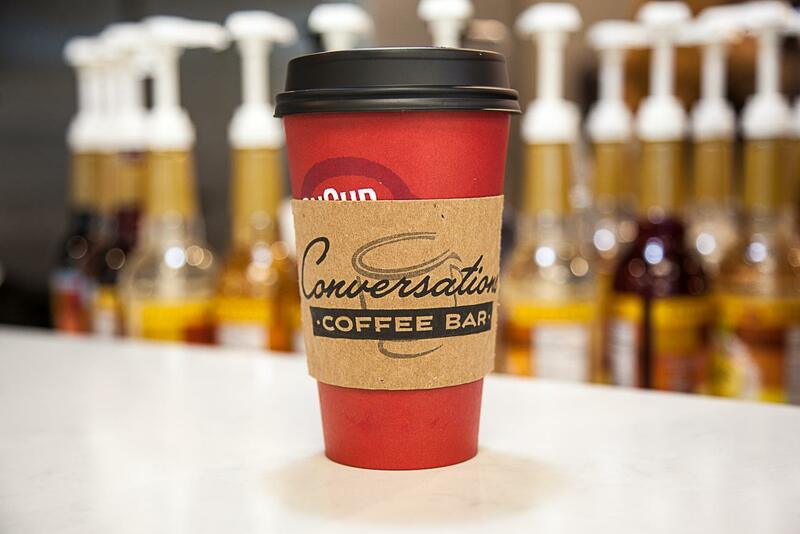 Pastor Gary Taylor, son Sam Taylor and son-in-law Chris Funk have opened Conversations Coffee Bar at 304 N. Ballard Ave. in the historical district of Wylie, Texas. The high-end specialty coffee bar serves coffee from Crimson Cup Coffee & Tea, Roast magazine's 2016 Macro Roaster of the Year. “It’s a real pleasure to welcome Gary, Sam and Chris to the Crimson Cup community. Training entrepreneurs to create unique, independent coffee shops is a big part of our success as a specialty coffee roaster and coffee franchise alternative. Columbus, Ohio coffee roaster Crimson Cup Coffee & Tea, Roast magazine’s 2016 Macro Roaster of the Year, recently welcomed Conversations Coffee Bar in Wylie, Texas to its growing community of independent coffee houses, cafés and bakeries. 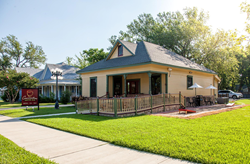 A high-end specialty coffee bar located at 304 N Ballard Ave. in the historical district of downtown Wylie, Texas, Conversations Coffee Bar is the creation of Pastor Gary Taylor, son Sam Taylor and son-in-law Chris Funk. The serial entrepreneurs also operate three other local businesses: Taylor & Son Services, Taylor & Son Properties and Taylor & Son Ice House. The goal of the three entrepreneurs was to create a coffee business that would spark conversations between the staff and customers, as well as between customers, in the North Dallas suburb of Wylie. To learn how to open a coffee house, they turned to Crimson Cup Coffee & Tea, which offers comprehensive training through its 7 Steps to Success coffee franchise alternative program. Based on Ubert’s book Seven Steps to Success in the Specialty Coffee Industry, the program provides everything new business owners need to open and operate a successful coffee house. Through this coffee franchise alternative, Crimson Cup has helped hundreds of independent coffee shops develop thriving businesses. “Over the past year alone, we have helped a dozen new business owners realize their dream of running an independent coffee business,” Ubert said. The coffee house features several screens in the dining room that display questions and video clips of funny or amazing things happening – all with the intent of giving people something to talk about with one another.